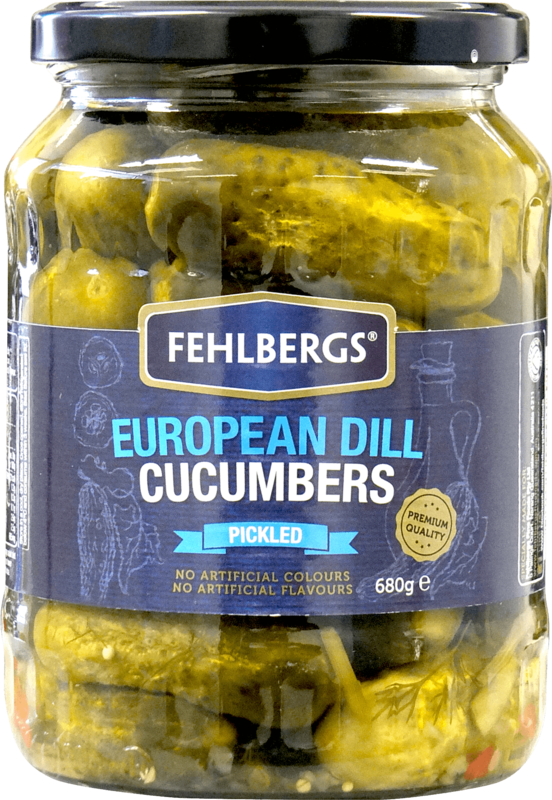 We’ve captured the traditional european dill flavours in every jar of our European Style Dill Cucumbers. Whether you’re creating a tasty burger or the perfect platter, these pickles are always a welcome addition on your plate. Cucumbers (54%), Water, Salt, Sugar, Acidity Regulator (260), Dill Weed, Onions, Capsicum, Mustard Seeds, Firming Agent (509), Natural Flavour.